FAYETTEVILLE, Ark. – Matt Hobbs was announced as the new Razorback pitching coach Tuesday afternoon by head baseball coach Dave Van Horn. Hobbs comes from Wake Forest where he spent the last four seasons. Hobbs is replacing Wes Johnson, who was named the head pitching coach with the Minnesota Twins earlier this month. In Hobbs’ four seasons in Winston-Salem, 12 Demon Deacon pitchers were drafted or signed free-agent contracts in four years (2014-18), including four each following the 2016 and 2017 seasons and three after the 2018 season. In his coaching career, 33 student-athletes have either been drafted or signed pro contracts, including 29 who were undrafted heading into college. 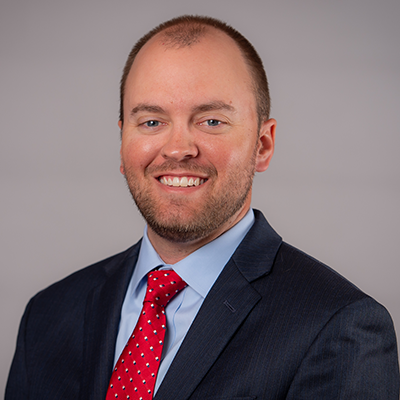 Hobbs has coached eight players that have been drafted in the top-10 rounds, including 2018 first-round pick Griffin Roberts, and has helped develop a total of seven big leaguers: Rob Zastrysny, Guido Knudson, Matt Stites, Dylan Axelrod, Jeff Stevens, Chuckie Fick and Tanner Scheppers and Kyle Zimmer. In each of his first three years in Winston-Salem, the Demon Deacons improved in ERA (5.73 to 5.24 to 4.11), strikeouts (364 to 435 to a program-record 559), walks per nine (5.03 to 4.35 to 3.83) and opponent batting average (.281 to .280 to .247). The 2018 Deacon pitching staff set a new program record for strikeouts per nine innings, fanning more than one batter per inning. The Demon Deacons also significantly improved their win totals the first three years under Hobbs, from 27 to 35 to 43, winning the 2017 NCAA Winston-Salem Regional and falling a game short of the College World Series at the Gainesville Super Regional. The pitching staff excelled down the stretch in 2017, recording a 3.81 ERA, .240 opponent batting average and more than a strikeout per inning against the likes of Florida, West Virginia and UMBC in the NCAA Tournament. 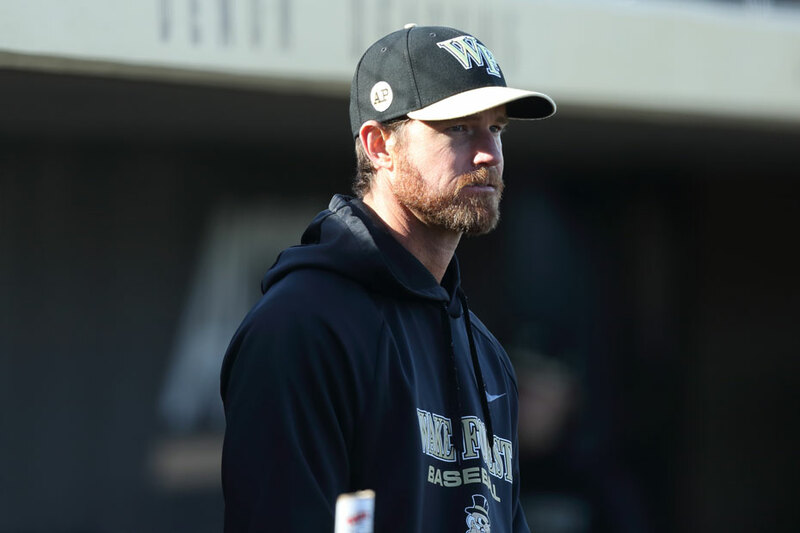 Hobbs oversaw Parker Dunshee’s development as he became a two-time all-conference starting pitcher, seventh-round draft pick and Wake Forest’s all-time strikeout record holder. Fellow pitchers Donnie Sellers (11th round), Connor Johnstone (21st round) and Griffin Roberts (29th round – did not sign) were also drafted for the first time in their careers, as Johnstone and Roberts also earned All-ACC honors. Roberts was drafted No. 43 overall the following year, while Rayne Supple (13th round) and Chris Farish (free agent signee) also started their pro careers in 2018. Before coming to Wake Forest, Hobbs spent four years as the pitching coach at Missouri, which is also his alma mater. During his four years in Columbia, Hobbs had seven of his pitchers drafted in three seasons and guided four players to all-conference honors. In 2013, Missouri’s first year in the SEC, Hobbs helped mentor Zastryzny, who was selected with the second pick of the second round in the draft. Hobbs also helped guide pitcher Keaton Steele to All-SEC First Team honors as Steele was the only player in the nation to lead his team in wins and saves. The pitching staff in 2013, despite being made up of eight newcomers, ranked among the best in recent Mizzou history with a 3.87 ERA in 50 games. That was the best team mark by a Tiger team since 2006. His three regular starters all had ERAs 3.80 or lower and his staff allowed just 152 walks, which was third in the league. In 2012, he mentored starter Zastryzny to honorable mention All-Big 12 honors and closer Dusty Ross to a spot on the All-Big 12 Second Team. In 2011, three of his pitchers were selected in the MLB Draft and he coached All-Big 12 Freshman Team honoree Zastryzny and All-Big 12 honorable mention pick Phil McCormick. Hobbs spent the 2010 season as the pitching coach at the University of San Francisco, where his staff ranked fourth in the West Coast Conference in ERA and was second in the league in fewest walks per nine innings. Also, Hobbs turned Kyle Zimmer from a third baseman into a pitcher. Hobbs’ tutelage and foresight paid off for Zimmer, who was drafted fifth overall in the MLB Draft by the Kansas City Royals. Before USF, Hobbs spent three years as the associate head coach, pitching coach and recruiting coordinator at UC-San Diego. The Tritons made a trip to the Division II College World Series in 2009. They finished that year ranked No. 3 after claiming the school’s first ever Regional Championship. Under Hobbs, UCSD’s pitching staff allowed the fewest number of walks per nine innings in D-II in 2009 and ranked 12th nationally with a 3.73 ERA. Prior to his stint at UC-San Diego, Hobbs spent two seasons as the pitching coach at Santa Barbara City College. In 2006, Hobbs’ staff allowed the fewest walks in the Western State Conference, while the 2005 squad led the WSC with a 2.27 ERA. During the summers, Hobbs was the pitching coach for Foresters Baseball, which won the National Baseball Congress World Series in 2006 after finishing runner-up in 2005. Hobbs also served one season as an assistant coach at Chapman University, where he worked with the pitchers and catchers.